Cookie Crumbles started back in 2003 as a cooking school for children, we have since branched out and now do children’s birthday parties, sell baking mixes & gift sets in stores, and of course, our baking subscription boxes. 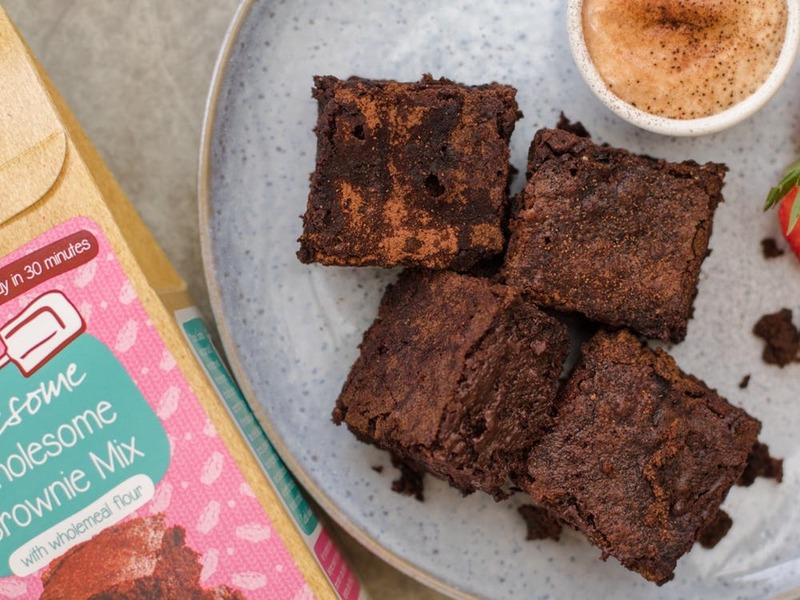 We created our products as the first all-natural baking mixes, made with the finest ingredients and all hand-blended in Yorkshire. All of our mixes contain wholemeal flour for the extra vitamins and fibre and don’t contain any artificial colours, preservatives or flavourings. When we launched our baking kits in 2015, we quickly learned that most of our customers purchased them as gifts. This fact, combined with our frustrations of missing deliveries at home ourselves gave us the idea to create a baking gift that would fit through the post box. This way, you can be out an about while a tasty natural baking mix is delivered directly to your letterbox! We wanted our subscription boxes to bring people together over baking, so we thought the idea of joining a baking club created a real sense of community. The 3-month subscription is our most popular box, but we’re launching something very soon which we think is going to be a real hit! Depending on the month, it’s usually just a one-person job; however, we can’t forget all the lovely factory workers in Yorkshire who hand-blend our mixes, and around Christmas, it takes two very dedicated people or a team of 3-4. We love Freddie’s Flowers and SourcedBox. The queen of baking - Mary Berry, would be great! Some baking equipment would be a good addition, then everything you need would be in the box! Not quite sure it would all fit through a letterbox though! The platform is simply great, it caters to all different types of businesses and gives people across the UK the chance to discover different subscription boxes all in one place. Experience the joys of home baking with simple, all-natural recipes from the Cookie Crumbles Baking Club. The subscription box that delivers fun and delicious baking mixes every month. Time to get out the oven gloves!